Every year Utah Animal Rights Coalition (UARC) organizes and presents Salt Lake City's very own VegFest. As a completely volunteer run organization and festival, UARC is dependent on the community for support. This year, we are looking to crowd funding to help keep the festival as accessible to the public so our mission is as far reaching as possible. The expenses of SLC VegFest are greater than $20,000 with the highest budgeted items falling into infrastructure and logistic costs. Things as simple as getting power supplies to our vendors and restrooms for our attendees are costs that many people don't realize add up! Many festivals are able to offset these expenses by charging admission -- but UARC believes it is important to keep this event free of charge. 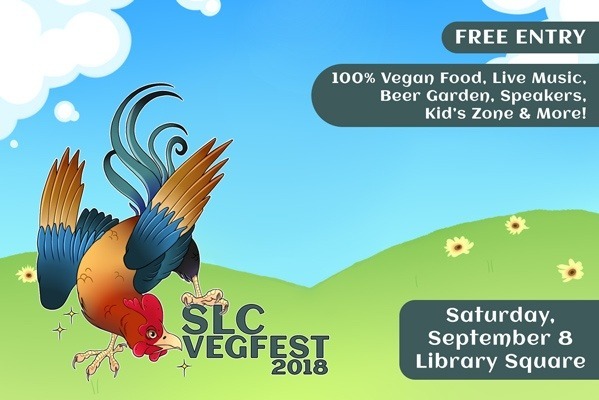 By contributing to our fund, you're helping keep SLC VegFest a free event that inspires dozens of people to make more compassionate choices in their daily lives. To support UARC year round and receive benefits, become a member!